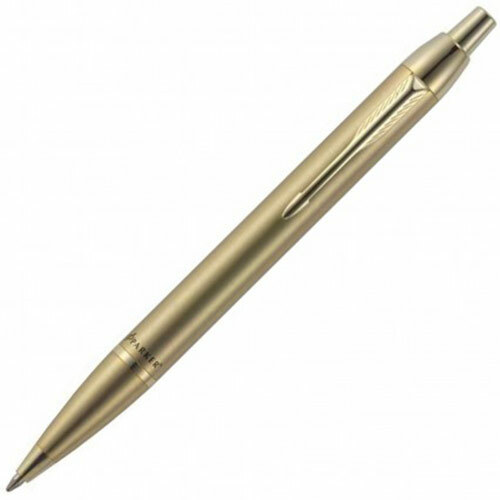 Push Action Premium Gift Parker Pen. Modern class coupled with classical quality and style bring something special to your promotion with the Parker IM Ballpoint Pen. Laser engraved with your logo or personalisation or printed, the result will be stunning, and with push action, retractable ballpoint delivering smooth blue ink, this is a corporate gift of practicality and excellence. Brushed Gold with gold trim.